The Body Shop Black Friday Sale is LIVE Online. You can get the Limited Edition Tote right now for just $30 with a $30 Purchase + Get items 3/$33 or 5/$55 you can mix and match! I am loving The Body Shop Black Friday Sale right now. They have tons of great deals on some awesome scents and products. You don’t want to miss this awesome sale! 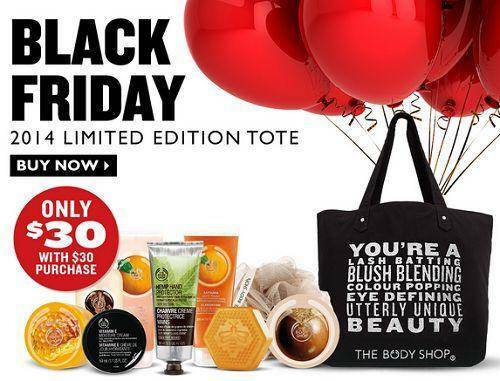 Head on over to The Body Shop and check out their amazing Black Friday Sale that is live right now! Knit Owl Hats for Babies only $5.59 with Free Shipping! Kindle Fire HD Tablet Black Friday Deals LIVE | $79.99 + Free Shipping!